1 extra Depravity point at the star of your hero phase. Next week Pre order of Wrath and Rapture !! -All the new set (4) are Multi Part plastic. You’ll find rules for these models – and the rest of the stuff in the set – across the booklets included in the set. 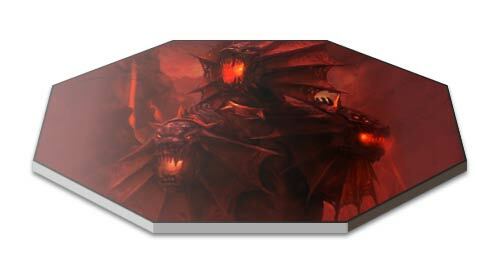 These detail the lore of the Realm of Chaos, giving hints as to the nature of this mysterious dimension and offering insights into the endless machinations of the Dark Gods. 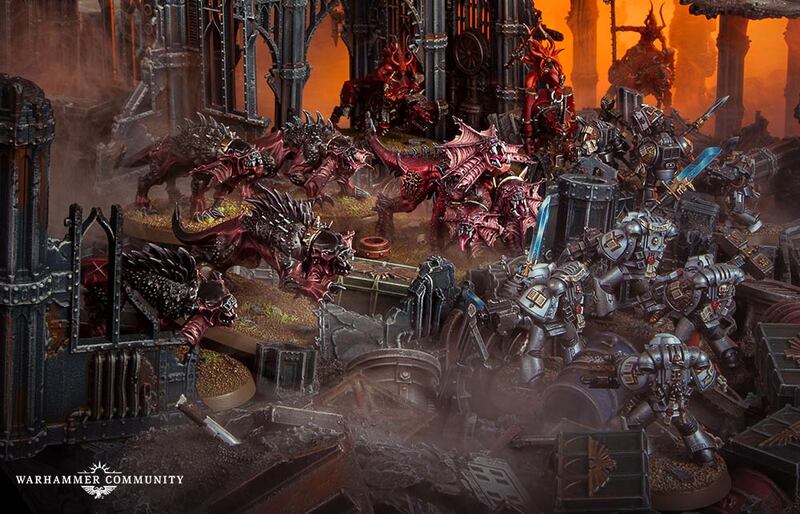 Super Hyped about the lore of the Chaos Realms ! We weren’t kidding when we said we had a LOT to reveal today! 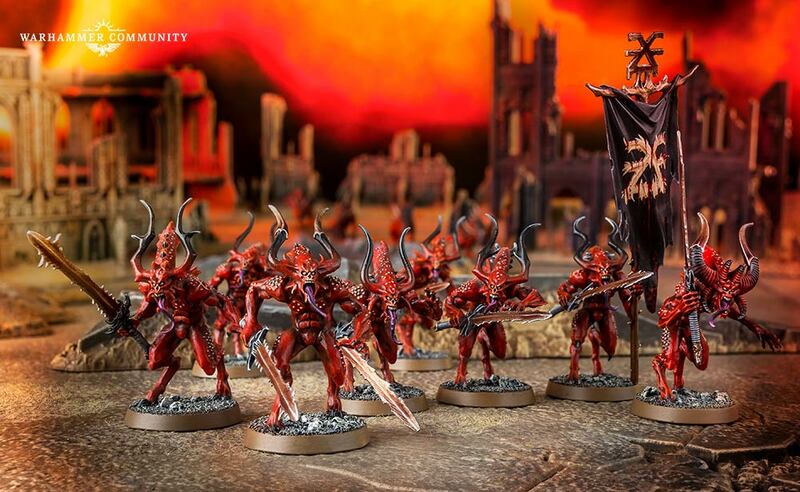 Wrath and Rapture has already set the internet aflame – and that was just the Fiends of Slaanesh! 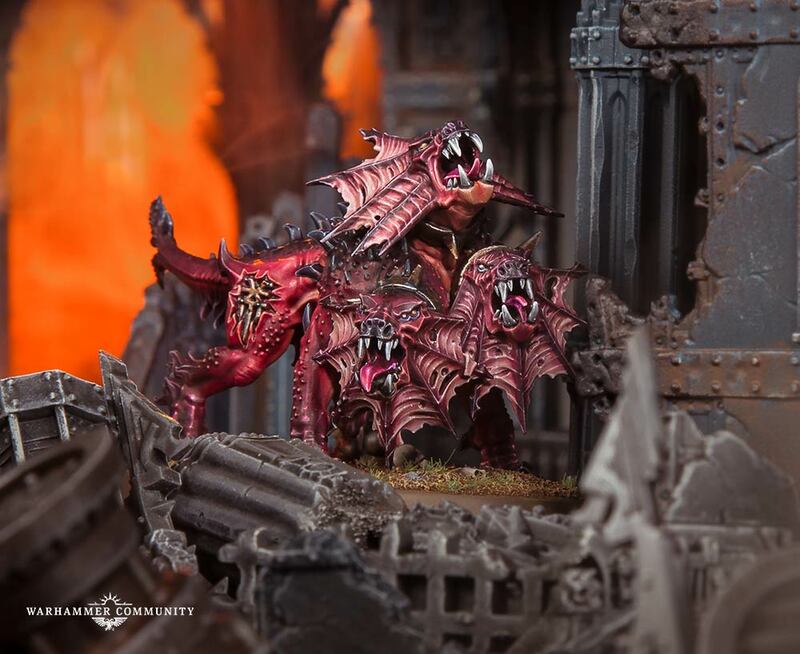 Having shown off more models a few weeks ago at the Blood & Glory Studio Preview, we can finally take a look at some of the most exciting miniatures from the set, such as the new Herald of Slaanesh and Karanak. 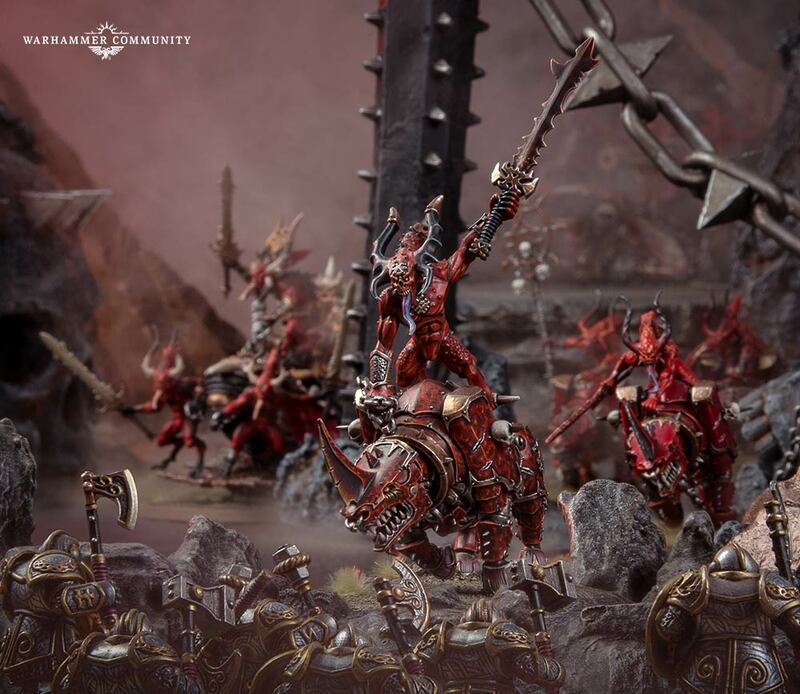 We’re particularly excited about the reimagining of Khorne’s most faithful hunting hound – look out Wizards, Karanak’s back!